Boomf are a business that started up a couple of years ago. 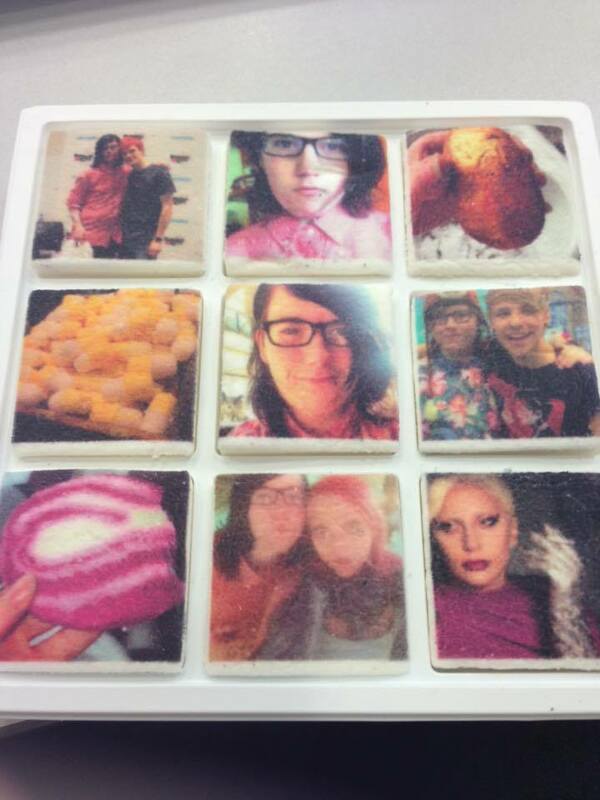 The whole concept of the business is that you can order bespoke marshmallows which you can personalise with whatever pictures you want. For example, pictures of you and your partner for an anniversary or of yourself and your friends for a friends birthday etc etc. Kate Middleton's brother owns the company which surprised me when I found out. The flavours that you can get are either Double Vanilla or Strawberry and comes at a price of £15 for 9. 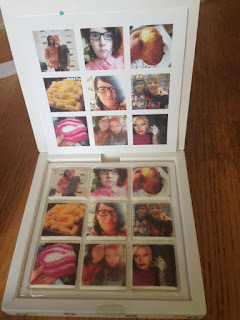 I spent a long time choosing which pictures I wanted on top of my marshmallows. In the end I decided to choose a mixture of selfies, Lush products and pictures/selfies with a couple of people from a while ago. I also decided to get a personal message with my package just in case my day wasn't going that well when I received them. I then punched in my code and then clicked Done. As it was a free code, this stopped me from needing to punch in my card details which is always a bonus when it comes to ordering things online. I then got a few more emails which said that if I wanted to change anything then I had 15 minutes to do so before the website finalised my order. Fast forward to a few days later, I get in from college and see that there is a parcel on the side for me. I open it and instantly realise that it is my Boomf package. 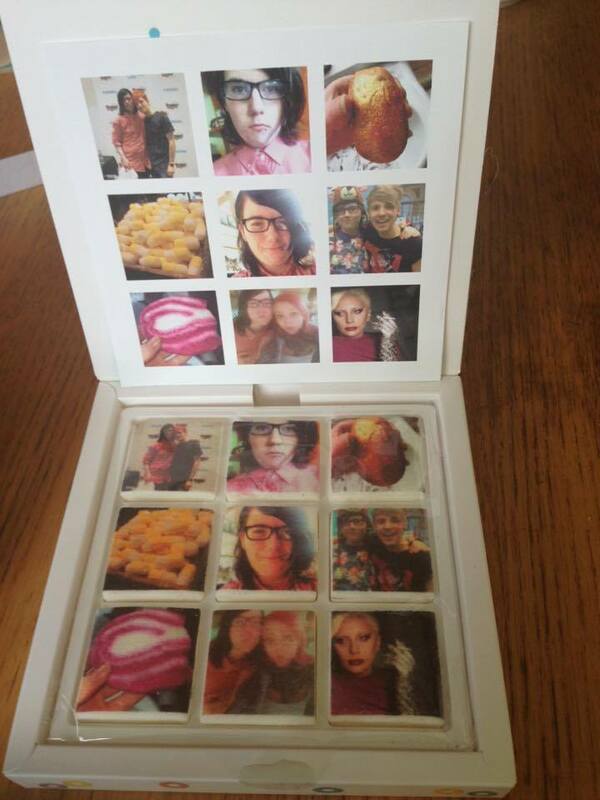 The box was packaged in a sort of cardboard photo frame which I think is a nod to the photos on the marshmallows. The box had a cute design on it. I open the box and see that the photos I had chosen were printed as a collection of actual photos which means that I can keep this as a memento and just to have a look at now and again and then below this was the actual marshmallows which looked exactly the same as the photos. The colours of the photos on the marshmallows were as bright as the actual photos and as they were on instagram they looked exactly the same on my Instagram account. On the website, they say that they can be kept up to three months if you don't take them out of the packaging that they come in or a few days when you do take them out of the packaging. I left them a week until I decided to finally open them and eat one whilst I was doing a blog post in college because well I need energy especially to write and especially to even get up to travel to college. The texture of them are fluffy and spongy. Texture wise you get your moneys worth. The taste of them was very vanillary. It reminded mainly of a Vanilla Cupcake candle from Yankee Candle which sounds weird but they did. If they had flecks of Vanilla Bean in then I think they would have been the absolute king of marshmallows. I even put one in with a hot chocolate before bed and it gave the drink a luxurious feel and gave off its vanilla aroma to the drink. On the whole, these are an amazing gift to give someone if they love marshmallows and you want to celebrate something big. They taste amazing and are such a personal gift to give someone. It's also quite fun to get one of someone and then rip it apart but thats just me. I personally wouldn't pay the price they are but I understand why they are the price they are. I would give them an 8.5/10 if I was rating them. I hope that you have enjoyed this blog post. If you click on Boomf throughout this post then it will send you to their website. Have you tried Boomf before? If so then let me know down below! Do you enjoy me talking about food/food reviews? If so then let me know down below so I know to do more food orientated posts. I hope to see you next time for another blog post.